Bag-jumping activity centre opened by the sea in Kalamaja area at the Noblessner harbour soon to be followed by new café Noble. Almost forty Dublin conference and business tourism operators are setting out to target significant new UK business as they travel to London this week for a high profile showcase – the specially created ‘Meet Dublin in London’ event organised by Fáilte Ireland’s Dublin Convention Bureau (DCB). Stefan Ketter has been appointed to lead the Group’s Pernambuco Project, the creation of a state-of-the-art automotive industrial complex in Pernambuco, Brazil. Ketter retains his role as Chief Manufacturing Officer. Tomorrow is the second of two Saturdays of production planned at the G.B. Vico plant in Pomigliano d’Arco pursuant to the May 23rd agreement between Fiat Group Automobiles and employee representatives at the plant. RMK website designed for hikers in nature, is from the beginning of summer available in three languages — besides Estonian and Russian, complete information on the opportunities of hiking in the state forest is now also provided in English. Tourism New Zealand's Approved Destination Status (ADS) team has recently updated the Chinese visitor information brochure available at Auckland International Airport. From now on Thomas Klappert (52) will take over the role of Vice President Cabin Crew Operations and will be responsible for the Cabin Crew Team at airberlin. It’s now even easier to give friends or family a little treat: vouchers for amounts starting from ten euros can be issued via airberlin.com/flightvoucher, even at short notice, and given away as gifts. 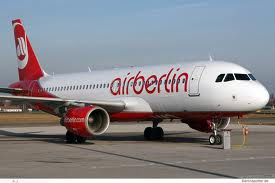 Companies participating in airberlin’s free bonus programme business points can now double their benefits when planning flights up to 31st August 2013. Fiat S.p.A. currently holds 11,536,143 ordinary shares in RCS MediaGroup S.p.A. (RCS) – including 226,198 RCS ordinary shares assigned through a stock dividend in 2007 that are not subject to the RCS shareholder agreement – representing 10.497% of the company’s existing ordinary share capital. Four huge tunnel boring machines will call Sydney’s North West home from next year after the NSW Government awarded a $1.15 billion contract to build the North West Rail Link’s 15km twin tunnels. The fifth Nashua River Brewers Festival kicked off today from 1-7 pm at Riverfront Park in historic downtown Fitchburg MA. Following the soft launch of its Beta-version website last year, Macau Government Tourist Office (MGTO) now officially unveils its brand-new website in 15 languages in accord with its aim of diversifying the tourism markets and expanding the international markets for Macau. Following the announcement that Holkham Beach in Norfolk is to officially ban nudists from its shores from 1st July, tourists may well be looking for their next kit-free hang out. Look no further. Due to popular demand, Hebrides - Islands on the Edge, is to be broadcast throughout the UK. Sensational live pictures of the nest - with two adult birds and a five-week-old chick - can now be seen in the VisitScotland Information Centre (Assynt) in Lochinver, Sutherland. The National Restaurant Association today commended the bipartisan efforts of the United States Senate in passing immigration reform that seeks to fix our nation’s broken immigration system. As the Wimbledon Tennis Championships begin, visitors to Britain will be pleased to hear they can indulge their passion for all things tennis off court with the Wimbledon Lawn Tennis Museum’s latest exhibition: ‘On The Riviera’ - Tennis in the South of France 1874-1939, which runs until Easter 2014. Garuda Indonesia will resume direct flights from Jakarta to Perth today, in a move which is expected to provide a boost for Western Australian tourism. The new botanically inspired Garden Wing at Shangri-La Hotel, Paris has opened its doors, welcoming guests to experience an exceptional ode to nature and elegance.Located next to the 19th century hôtel particulier originally commissioned by Prince Roland Bona-parte, the Garden Wing features a beautifully landscaped French garden in its inner courtyard, with the Eiffel Tower as an incomparable backdrop. Reeling under catastrophic loss of lives, Uttarakhand has been slapped with another thrashing, Rs.12,000 crore from its tourism sector alone.The PHD Chamber of Commerce and Industry (PHDCCI) has estimated that the state of Uttarakhand has lost a revenue earnings of about Rs.12,000 crore from its tourism sector alone in the current fiscal on account of torrential rains that devastated the state. The guides, produced by Asia House supported by Heathrow, have been written in collaboration with trade bodies, associations and British Embassies to offer expert tips on business culture, language and market opportunities in eight Asian economies. KiwiRail’s all new Northern Explorer service between Auckland and Wellington is celebrating its one-year anniversary of operation today having met its financial targets. Oman Air’s senior management has credited the airline’s continuing success to the dedication of its staff, and has reaffirmed its commitment to developing a supportive and competitive workplace environment across its 42-destination global network. Final Line-up Announced for 14th World Gourmet Festival at Four Seasons Hotel Bangkok. Four Seasons Hotel Bangkok announces the final line-up for the 14th annual World Gourmet Festival, to be held this year from September 2-8, 2013.This year's line-up includes eight outstanding chefs from seven different countries, a renowned winemaker from Sancerre, and a Master of Wine from Tokyo. Agoda.com, Asia’s leading hotel booking site and part of Nasdaq-listed Priceline Group (Nasdaq: PCLN), is offering great deals on hotels in southern Australia that will suit scuba divers who are seeking a bit of adventure. Howard Johnson to the Duke and Duchess: How About Howard? Kate and William are expecting their first child in under a month but still no word on a name. With the clock ticking and anticipation growing, iconic hotel chain Howard Johnson® is offering a donation of $25,000 to the charity of the Duke and Duchess’s choice, should they choose to name the baby Howard. Michelin-starred Tamarind of Mayfair returns to Hotel d’Angleterre, Geneva, for Eleventh Consecutive Year. A team of chefs from Tamarind of Mayfair will take up two-week residency at the Windows restaurant for the annual Indian food festival. Union Pacific Railroad is launching a billboard campaign aimed at encouraging Houston area drivers to safely use railroad crossings. If you are globetrotting in search of spiritual serenity then Hamburg is the place for you as on 14 September, 120 churches in the Hanseatic city of Hamburg will be opening their doors to the public during 10th Night of the Churches. Wyndham Vacation Rentals®, the world’s largest professionally managed vacation rental business and part of the Wyndham Worldwide family of brands, today announced that it has received a TripAdvisor Certificate of Excellence award for its Waterscape property in Fort Walton Beach. Kassel is home to the 38th UNESCO World Heritage site in Germany as Wilhelmshöhe Park was added to the famous list of world cultural and natural heritage sites on 23 June 2013. Truckee has been awarded membership in Union Pacific's Train Town USA Registry as part of Union Pacific's ongoing efforts to highlight cities with a historical connection to the railroad. The closing highlight of Kiel's Summer of Culture is Museums Night. On 30 August, 24 museums, exhibitions and other institutions on the western and eastern banks of the Kiel Firth will be open from 7pm until midnight, inviting visitors on a cultural journey of discovery. Tourism Australia and New Zealand's national carrier Air New Zealand have signed a Memorandum of Understanding (MoU) which will see more than A$6 million invested in joint marketing activity over a three year period to promote tourism to Australia in key overseas markets. A Tyrannosaurus Rex has been on the rampage through Edinburgh - despite being extinct for the last 65 million years. Taking its cue from the ever-popular food truck, Boston recently announced the full-time launch of the nation’s premiere City Hall on wheels. Keen golfer Mike Cantlay will be joined by two friends, Ken Milligan and his son Harry from local school McLaren High, in a gruelling 108 hole marathon of Callander golf course, on the 1st July. South African Airways (SAA) wishes to clarify that the airline is currently conducting wage negotiations with labour unions that are recognized to represent the interests of cabin crew and ground staff. The two state-owned airlines will pull together their resources to create a jointly managed and resourced national pilot training programme, paying for the trainees’ classroom tuition, practical training, flying time, accommodation, travel and other related expenses. Heathrow today welcomed Transport Secretary Patrick McLoughlin to witness the testing of Terminal 2’s baggage system, one of 182 trials that Heathrow Airport is undertaking to prepare the terminal for opening on 4 June 2014. Singapore Airlines Japan has signed a Memorandum of Understanding for three years with Christchurch International Airport and Tourism New Zealand aimed at increasing outbound demand from its network in Japan to New Zealand through Christchurch Airport. With the recent birth of “Baby Kimye” and the anticipated arrival of the “Royal Baby,” Kim and Kate have been setting mommy trends on everything from maternity fashion to babymoons. IMPACT Exhibition Management Co. Ltd, in collaboration with AFIDAMP, the Italian Cleaning Equipment Manufacturers Association is launching a brand new international trade exhibition for the cleaning industry, scheduled to take place in Bangkok in September next year. Kate Humble anchored the programme with the air traffic controllers at the almost 90 metre high control tower where she found out about ‘go-arounds’. Dorset-based Condor Ferries is preparing to welcome passengers back to Weymouth port for the first time as services resume once again next month. Tourism Australia’s Best Jobs in the World competition has helped to build Australia’s profile, broaden its global appeal and inspire a new generation of international visitors, according to peak national industry body Tourism & Transport Forum (TTF). Jill O’Brien, manager of Wild Idea Buffalo, recently appeared on the WGN set in Chicago to share about the benefits of bison meat and travel opportunities in South Dakota. Hundreds of thousands of visitors to this week’s Royal Highland Show 2013 will be treated to a feast from Scotland’s natural larder as well as a host of outdoor activity experiences, with help from Year of Natural Scotland partner organisations. The tourism industry is concerned that proposals to tighten 457 visa regulations will make it more difficult to source badly needed staff, according to peak national industry body Tourism & Transport Forum (TTF).